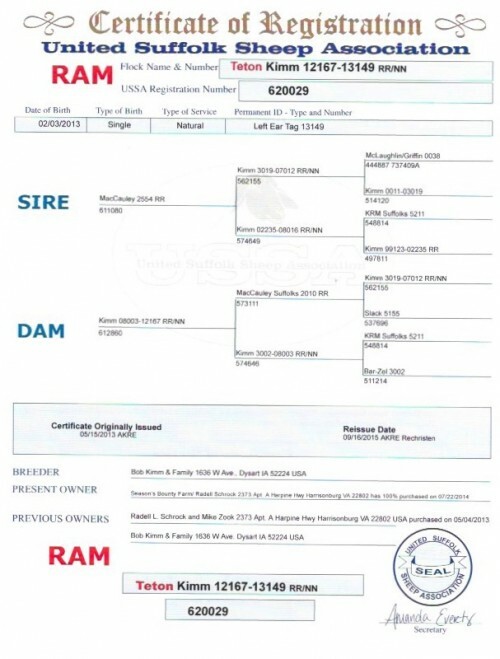 We were looking far and wide for a ram that was as wide as he was tall. 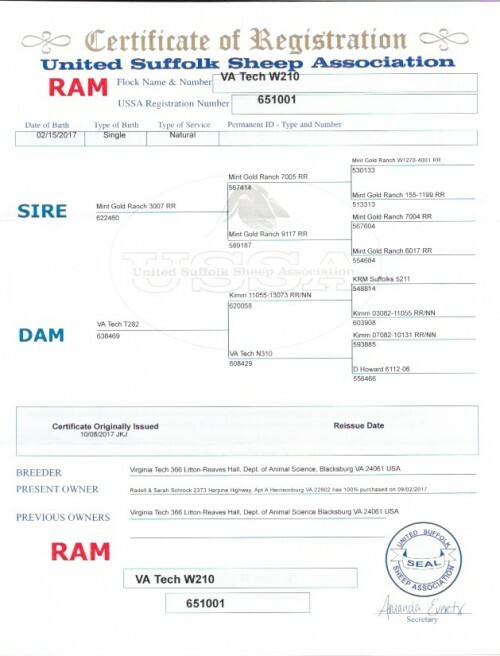 So when we heard Leo was for sale as a proven ram from MacCauleys of PA, we couldn't pass him up. He is really big-boned like his sire, Mighty Mo, and very correct on his feet and legs with great breed character. 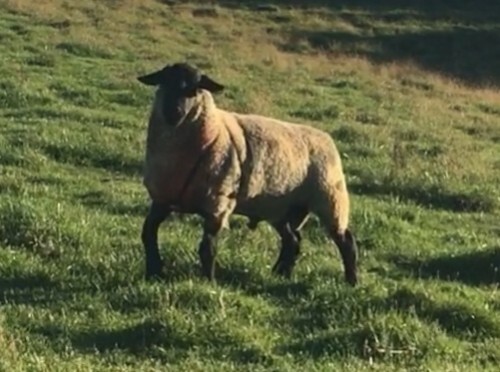 We purchased him toward the end of the 2018 breeding season, so we only have late lambs out of him for 2019. We purchased Arlo from the VA Tech production sale. 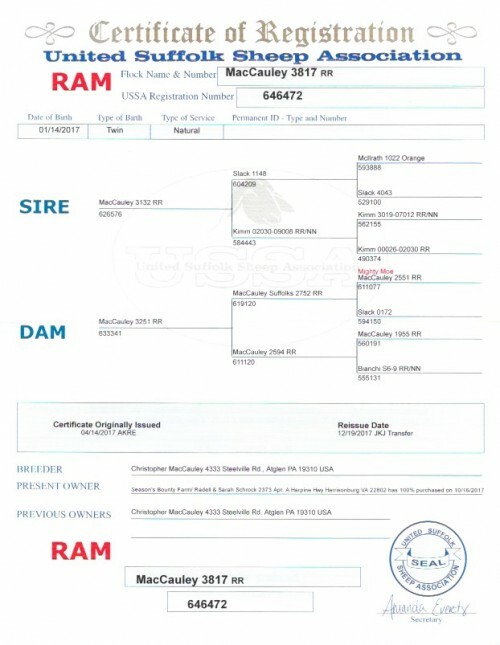 He is a son of "Arnold" Mint Gold 3007 who is one of the top NSIP rams for muscle scan. Arlo's mother goes back to Kimm 5016 and Meadows 5211. Arlo quickly caught our eye for his stoutness, smoothness, correct feet, and glossy black head and legs. We used him on most of our replacement ewe lambs. 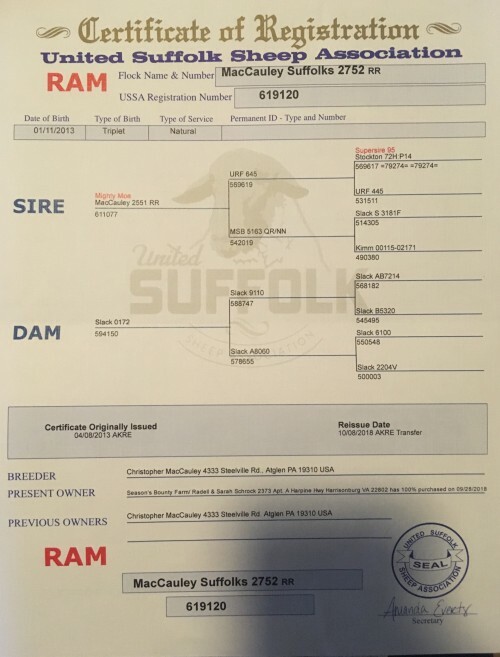 Tony and Laura Leal purchased Stonewall as a proven ram from Bob Kimm in his 2017 production sale. They generously let us use him for December and early January lambs. Stonewall is big boned, incredibly correct on his feet and legs, thick from front to rear, and we especially like his thick top. 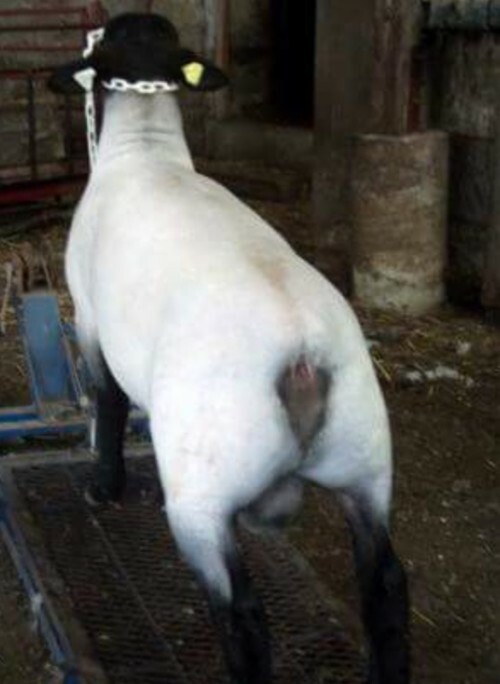 He is out of Bob's 4081 ewe that is going on 14 years of age. 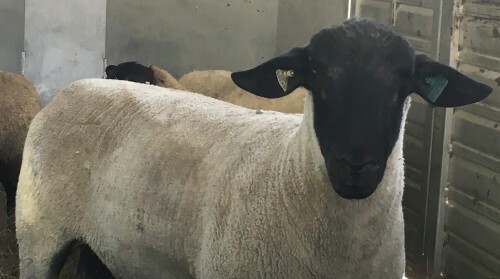 We returned to the Kimm Production Sale in 2016 for a stout, heavily-misled ram, and Hickory was an easy pick for us. 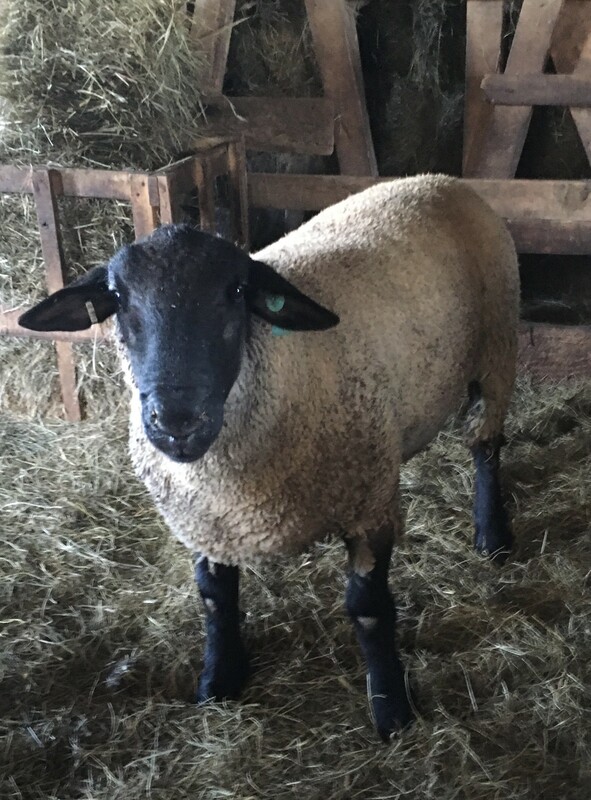 His first lamb crop looks a lot like him with increased bone/foot size, extra width, tremendous rib shape and lots of muscle. 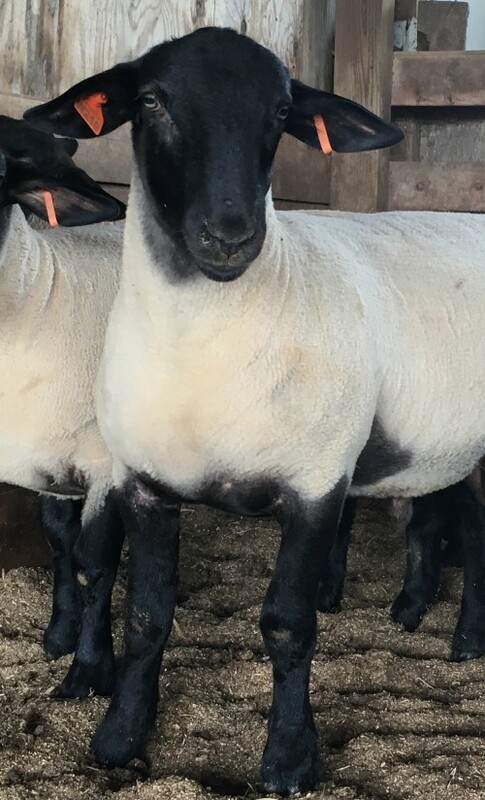 We leased Arnold from Virginia Tech for early January lambs after seeing his impressive group of sons at the VA Ram Test facility. Arnold was the #1 NSIP ram for muscle scan at one time, and is currently #6. 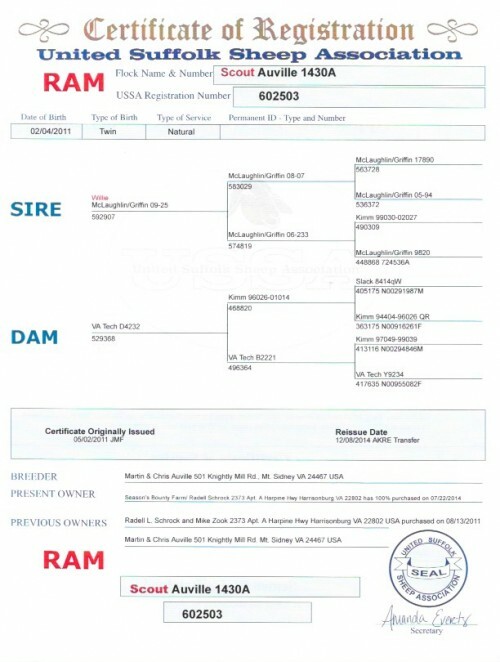 His pedigree contains muscle sheep from top to bottom. 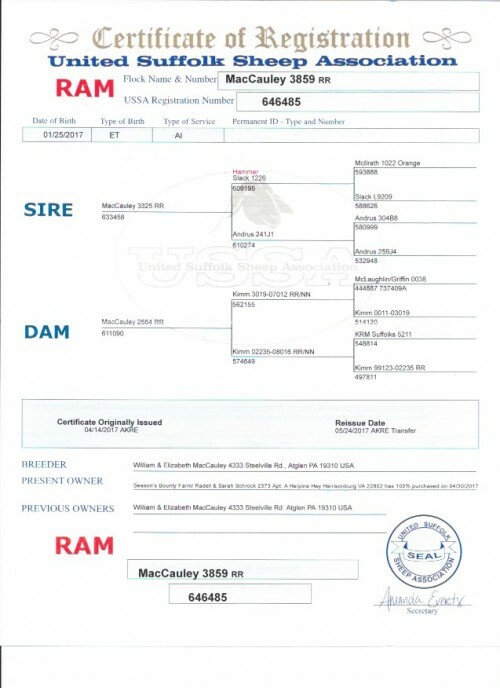 We purchased this ram lamb in partnership with Tony and Laura Leal from MacCauley's online sale. 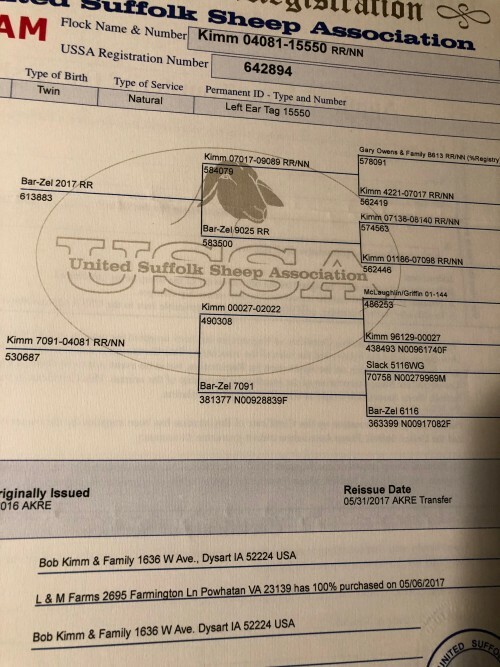 We used his half brother ("Lumberjack" who we co-owned with Joe Emenheiser and then sold to Montana) last year and have always been impressed with the Kimm 8016 family. 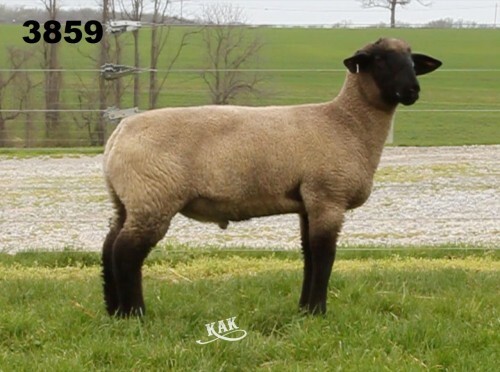 His sire was the 3rd place yearling slicked ram at Louisville in 2016. We expect Oswald to add length, overall size and a touch of style... and personality. We purchased Zac from MacCauleys because of his tremendous thickness, muscle and bone. 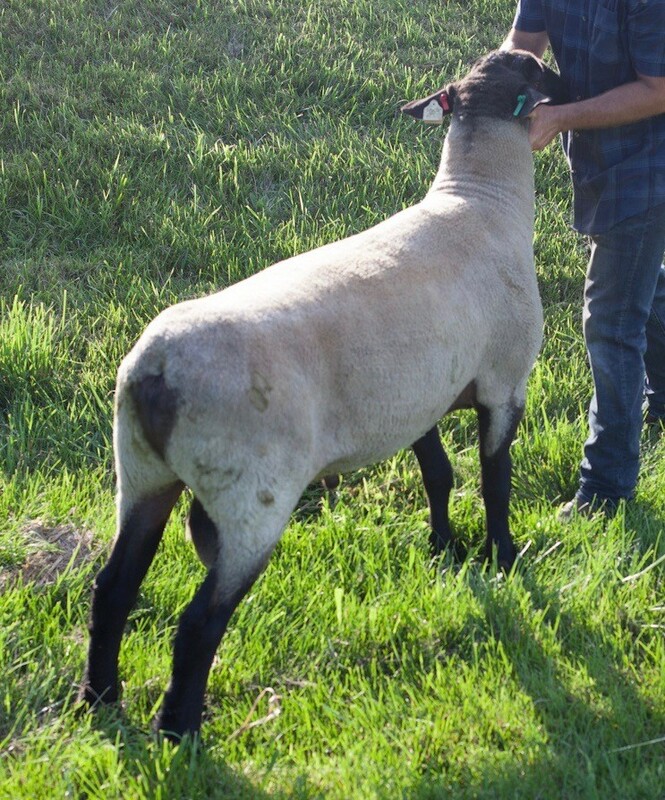 We purchased him toward the end of the breeding season, so we only have a few ewe lambs bred to him. 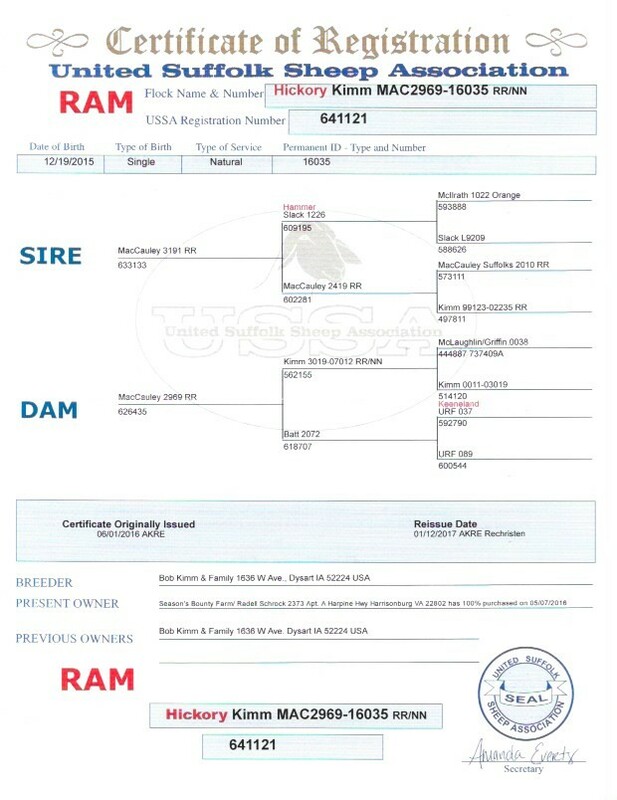 Tahoe was our pick of the first batch of the home-raised Teton sons! Tahoe weighed 117lbs at 77 days of age. 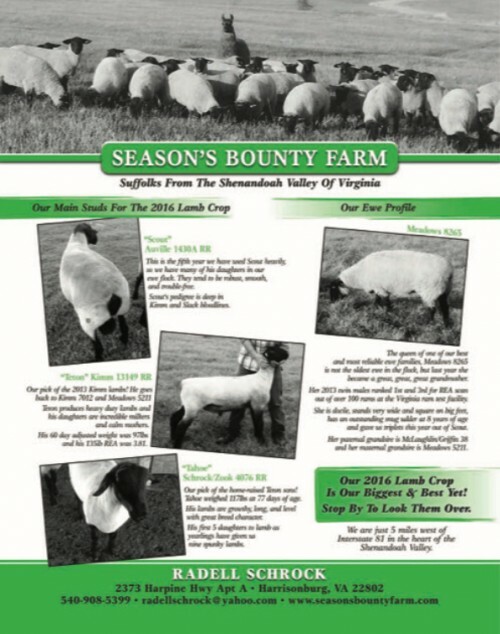 His lambs are growth, long, and level with great breed character. Like his father, Tahoe produces daughters with outstanding maternal traits. 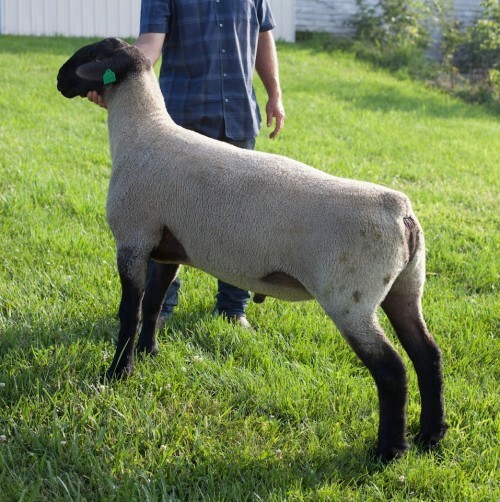 Teton was our pick of the 2013 Kimm lambs! 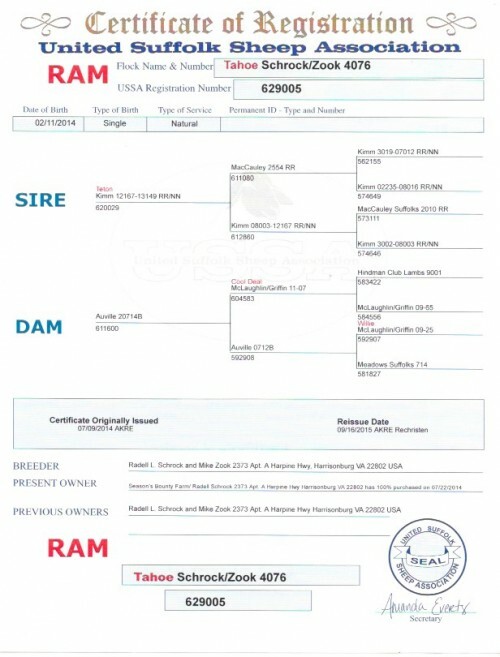 Both his sire and dam go back to Kimm 7012 and Meadows 5211. 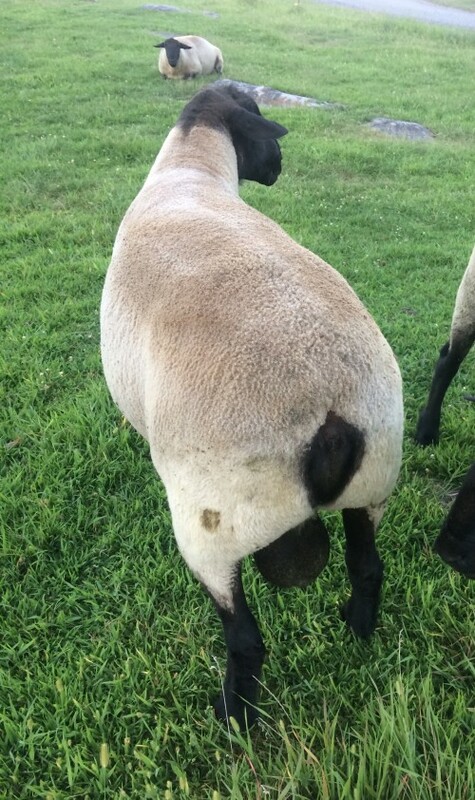 Teton produces heavy-duty lambs and his daughters are incredible milkers and calm mothers. His 60 day adjusted weight was 97 lbs and his 135lb REA was 3.81. 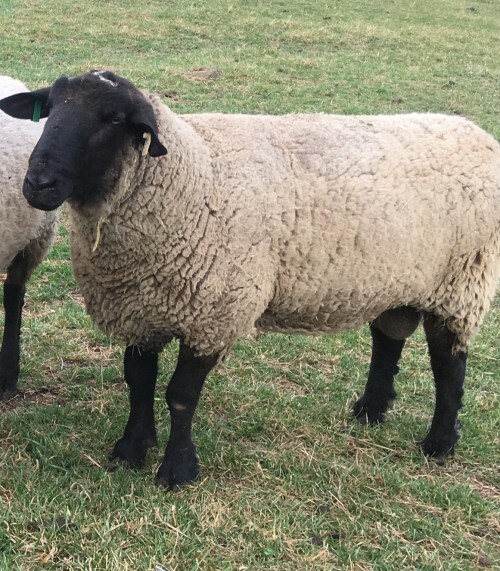 This is the 7th year we have used Scout heavily, and we have many of his daughters and granddaughters in our ewe flock. 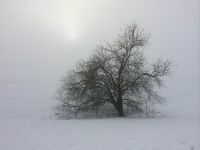 They tend to be robust, smooth and trouble-free. Scout's pedigree is deep in Kimm and Slack bloodlines. 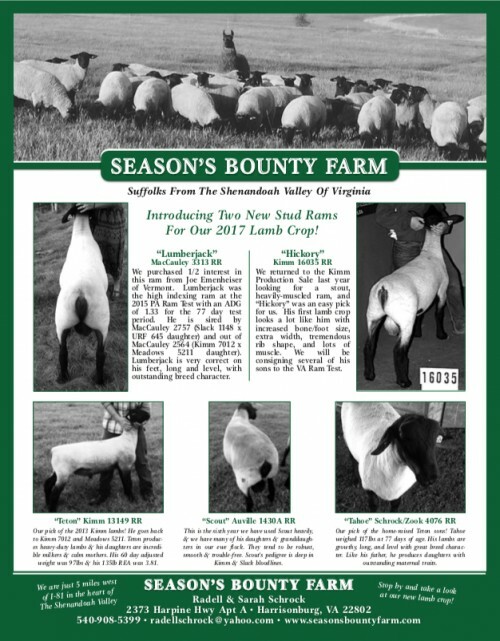 The following ads give info on the background of the past two lamb crops. We saved 50 ewe lambs from the 2017 lamb crop and 60 from the 2016 lamb crop.